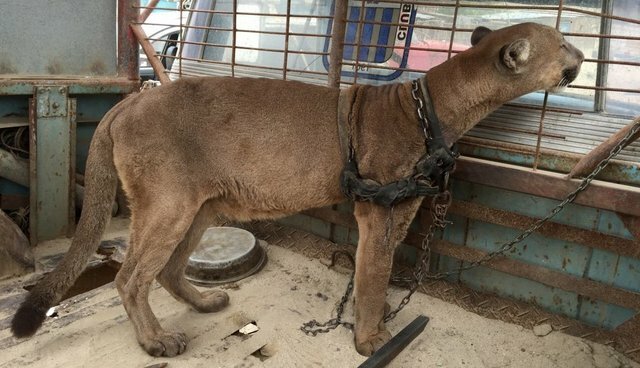 Mufasa the mountain lion was rescued from an illegal Peruvian circus earlier this year. Likely sold into the exotic pet trade as an infant, he had spent 20 years being carted around from village to village and forced to perform. Lacking even the comfort of a cage, when he wasn't performing he would be locked up and chained in the open bed of a truck, where he'd curl up behind the tent poles to sleep. 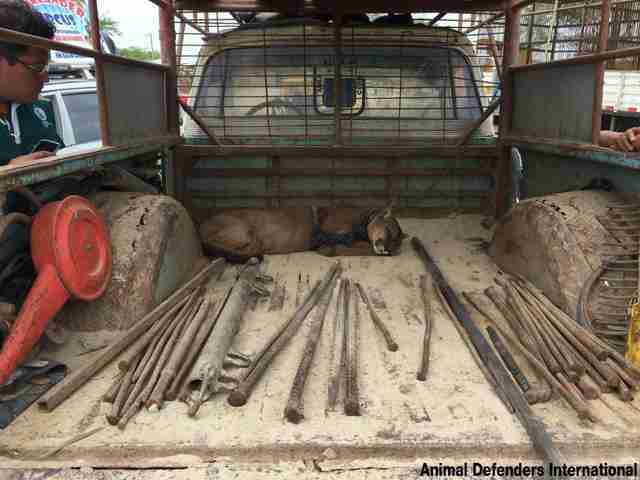 "It was heartbreaking to see Mufasa chained among the circus equipment, living on the back of a pickup truck," Jan Creamer, president of Animal Defenders International (ADI), said in a statement. "A heavy harness and chains were wrapped around his body and as we cut them away, he stretched, free, for the first time." At the time, Creamer described the scene as "the most sad, wretched thing that you've ever seen," noting that "it was like he wasn't even alive." 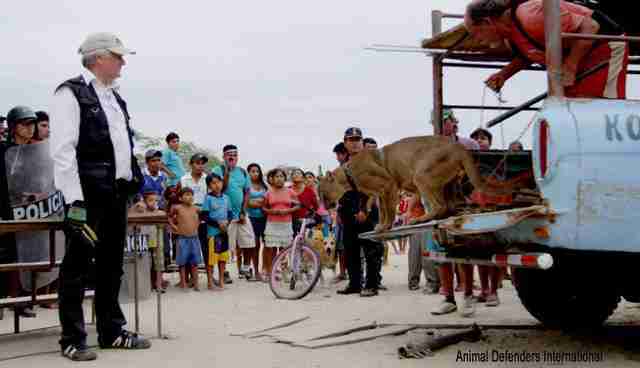 Fortunately, he was rescued by ADI's Operation Spirit of Freedom, a yearlong crackdown on illegal circuses in the wake of Peru's 2011 ban on performing circus animals, after an eight-hour standoff with his owners. 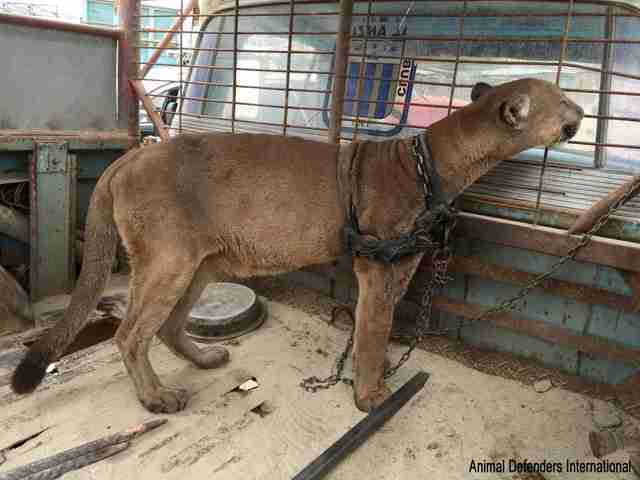 When he was found, the neglected mountain lion was very underweight. But the real damage was more than skin deep; rescuers described him as "quite nervous," and said he appeared to be afraid of people. But fortunately, help arrived. 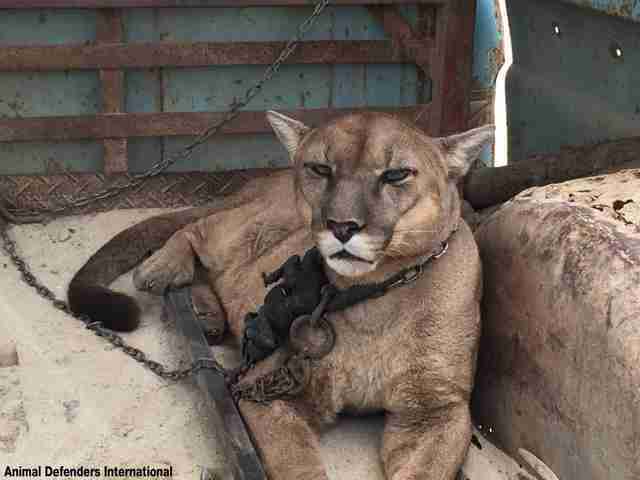 Mufasa was transferred to ADI's Spirit of Freedom rescue center in Lima, Peru, where rescuers began to heal his body and mind. "His appetite and coat condition have improved after receiving specialist veterinary treatment," the group said. 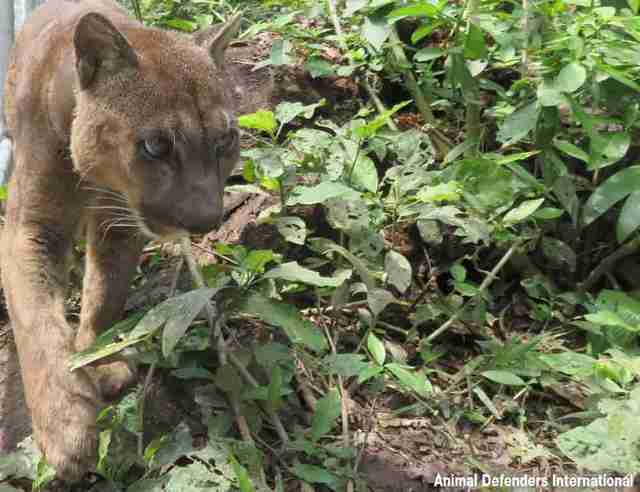 After recuperating he was finally ready for a real home, and ADI transferred him to Taricaya Ecological Reserve. 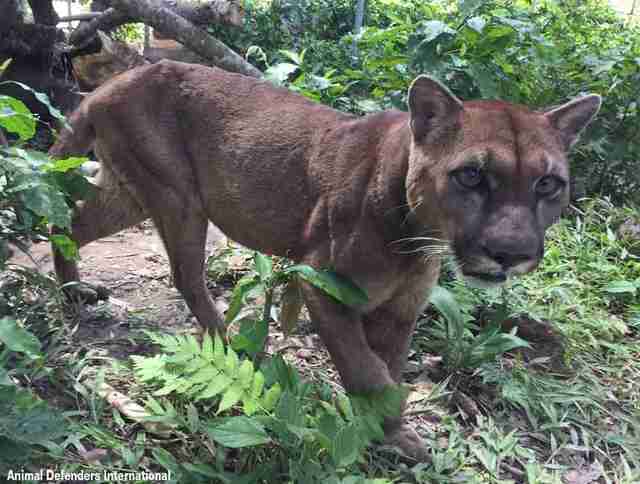 The reserve prepared a special enclosure in the Amazon rainforest that will allow Mufasa, who's unreleasable, to live out his days as close to his natural life as possible. Photos show him taking his first cautious steps out into his new home, exploring the leaves and bright undergrowth as he finally settles into a place where no one can hurt him. "Mufasa was torn from the wild and has endured the worst possible life," Creamer said. "[His] story symbolizes the suffering we have ended." Though Mufasa's story is heartbreaking on its own, he was just one of nearly 100 animals saved during ADI's rescue operations, including lions, bears, monkeys, birds and a tiger, all of whom were rescued from circuses and are now recovering from their long years of abuse. 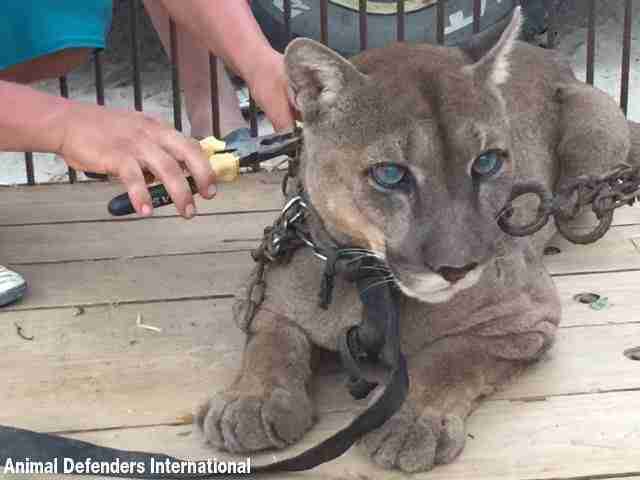 ADI will continue their work to free illegal circus animals - even as they appreciate the wonder of watching a 20-year-old mountain lion return to his long-awaited home. 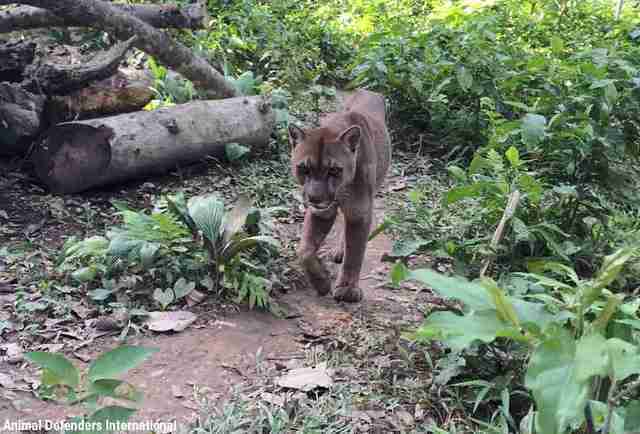 "It is magical to see him moving about in and out of the trees in his own piece of protected forest," Creamer said. 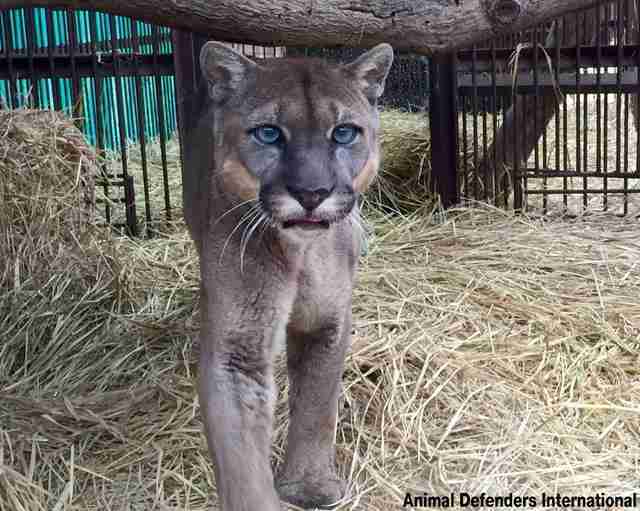 You can donate to ADI to support Mufasa in his twilight years, and help the group continue to rescue other animals like him.